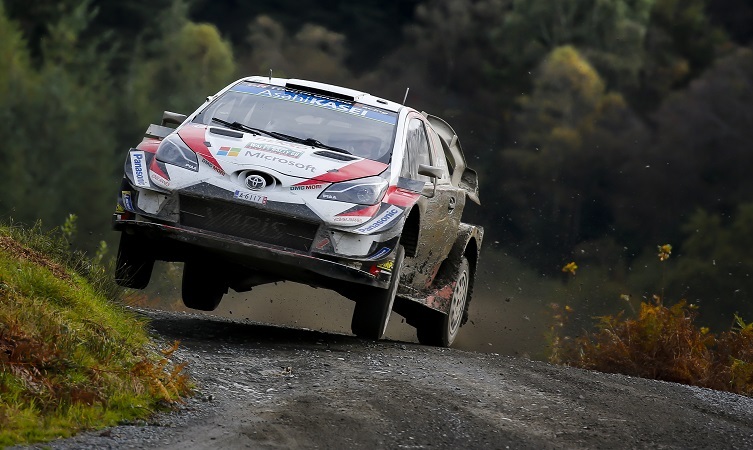 The Toyota Gazoo Racing World Rally Team increased its advantage at the top of the manufacturers’ championship standings after a double podium finish on Wales Rally GB – the fourth event in a row where two of the Toyota Yaris WRCs have finished inside the top three. 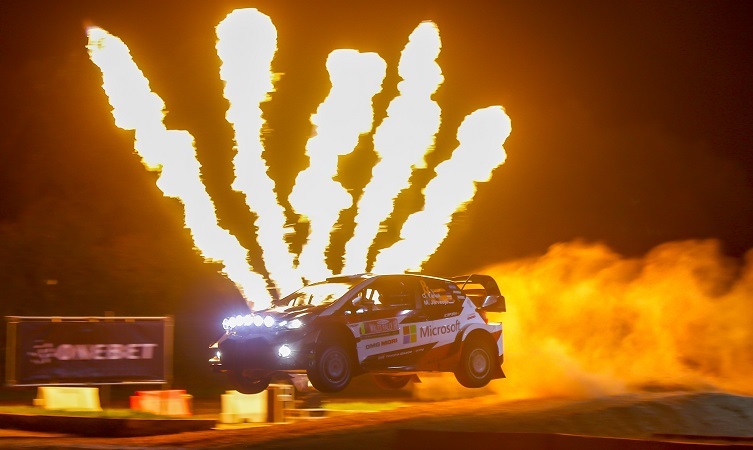 Jari-Matti Latvala engaged in a thrilling final-day fight for the rally win, ultimately finishing in second place with Esapekka Lappi in third. This is how the four-day event panned out. 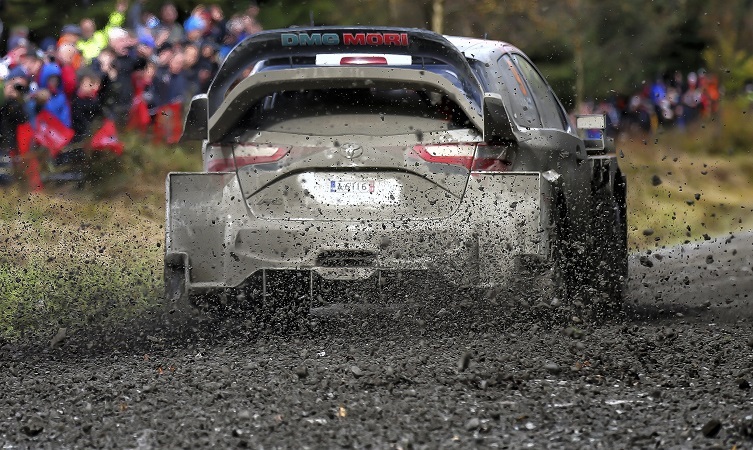 Review: For shakedown, the crews headed from the service park in Deeside to Clocaenog Forest. Latvala recorded the joint-second-fastest time on his first of four runs over the 3.37km stage. Lappi was eighth quickest but just one second slower than the fastest time. Tänak went off the road on his first run but after returning to service for repairs also completed four passes. The first stage of the rally took place at the Tir Prince Raceway close to the north Welsh coast, measuring just 1.7km in length. Lappi set the quickest time, 0.3 seconds ahead of Latvala, who tied for second. 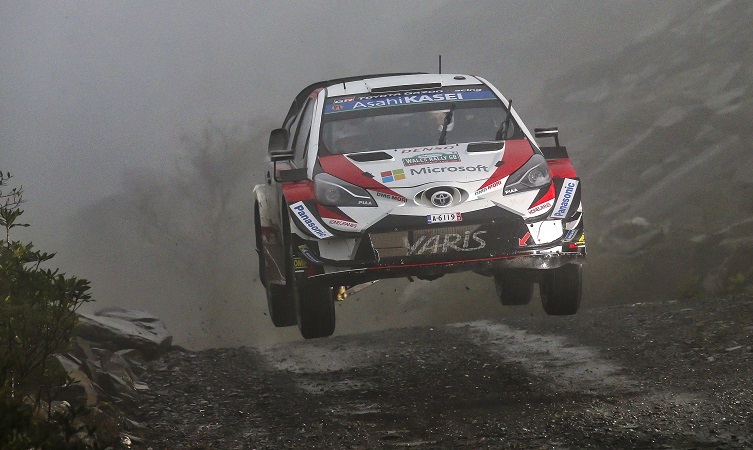 Tänak ensured all three Toyotas were inside the top five and covered by only 0.9 seconds. Kaj Lindström (sporting director): “In shakedown this morning, Tänak lost some time after a mistake but the damage was only minor and he was able to continue. All three drivers seemed happy with their setups after the test, so they didn’t need to make any changes in shakedown, which is always a positive sign. 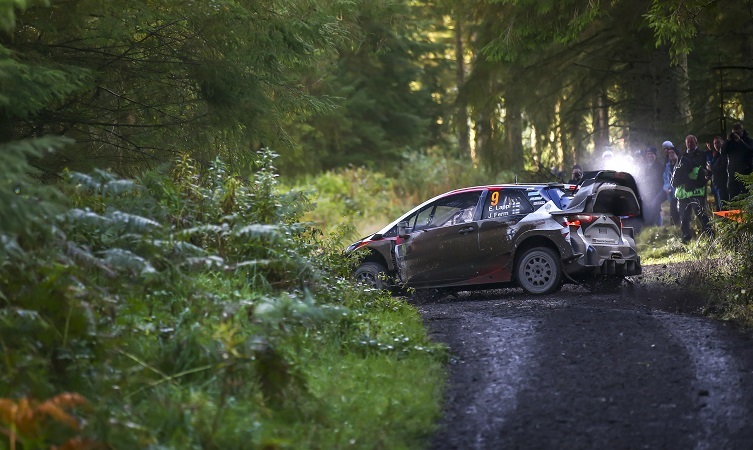 Review: Tänak began the day with a hat-trick of stage wins on the slippery forest tracks of North Wales. In the afternoon he was fastest again on the second passes of the Clocaenog and Brenig stages. Despite suffering a puncture on the latter stage, he ended the day 28.8 seconds ahead of his closest rival. After making a steady start, both Latvala and Lappi gained performance as the day went on, improving their cars’ set-ups to suit the conditions. Latvala ended the day only 2.5 seconds away from second place, with Lappi just 4.6 seconds behind that. Jari-Matti Latvala (driver car 7): “Today has generally been quite good. At first I was struggling with understeer but we made some tweaks to the dampers and I started to gain confidence. This afternoon in Brenig, I wasn’t feeling my best and we lost some time. But in Penmachno I got the feeling back and even though it was quite slippery in places, the time was reasonably good. Review: This was the longest day of the rally, with 150 competitive kilometres split across nine stages on classic gravel roads in mid-Wales, all tackled without a mid-day service. Over the morning loop of five stages, Tänak increased his lead – which he had held since Friday morning – to 48 seconds, but sustained a broken radiator in SS16 and stopped in order to try and prevent damage to his engine. Latvala and Lappi spent the morning in a tight fight with each other and their rivals. Lappi got ahead on SS10 before Latvala reclaimed the place on SS13. Latvala then went on to set the fastest time in both SS14 and SS17, putting him in a strong position to contend tomorrow for his third victory in Wales, with Lappi not far behind. Ott Tänak (driver car 8): “Things were going well this morning – we just had to keep up the pace and our rhythm. Unfortunately, in the second run through the Sweet Lamb stage we somehow damaged the radiator and had to stop. Review: The last day consisted of five stages: three in the forests of North Wales and two passes over an all-asphalt stage finishing in Llandudno. Beginning the day 4.4 seconds away from the lead, Latvala made an excellent start to the morning, with a stage win on SS20 moving him into first position. He continued to fight until the end and finished up just 10.6 seconds shy of victory, as he took his third podium finish from the last four events. Lappi began the day with a margin of just 1.7 seconds over the driver in fourth but immediately increased his advantage by winning SS19. He ended the rally more than half a minute clear as he made his third podium visit in the space of five rounds. With these results, Toyota extends its manufacturers’ championship lead to 20 points. After being forced to retire on day three, Tänak restarted on day four and claimed four points. It means the Estonian driver is within 21 points of the drivers’ championship lead with two rounds still to go. 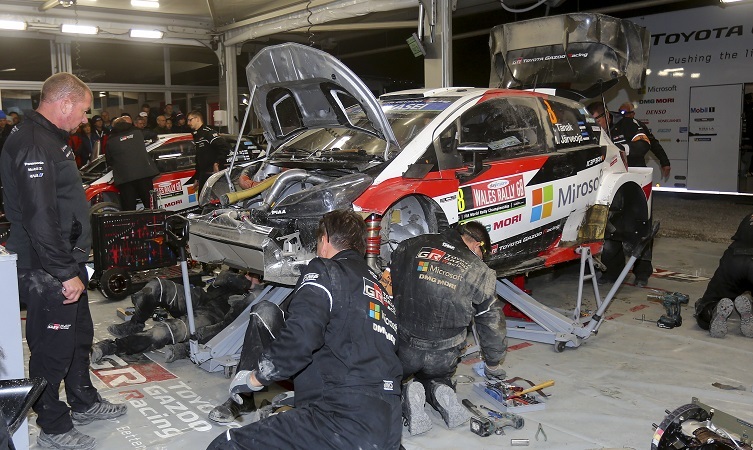 The twelfth and penultimate round of the 2018 World Rally Championship is Rally de España, which takes place on 25-28 October.